Iron Man 3 is a difficult one for me. I absolutely loved Iron Man, for me it is about as good a comic book origin story has been made on film. Unfortunately, I don’t think I can recall a more dissapointing comic book movie than Iron Man 2. Smug, shallow and more interested in Downey Jr’s Tony Stark making horrid self-knowing quips than delivering plot or action. 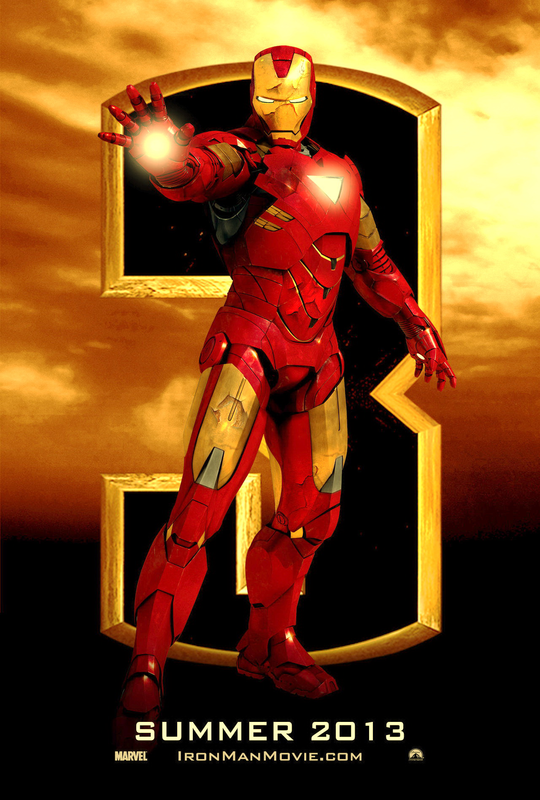 So I was a little hesitant about Iron Man 3, until I saw this trailer a few weeks ago. Who knows how it will turn out, but I for one am now excited. So excited I bought a ticket to a midnight screening, even though I can only see it in 3D which is not my preference. I’ve got mixed feelings about this trailer, and the film in general. Hope it’s good. Whilst the trailer has me excited, I also have some pretty mixed feelings about what the end product will look like. Were you a fan of the first two Fernando? Really liked the first one. Actually haven’t seen Iron Man 2! I think I’m one of the few people who wasn’t totally bowled over by Iron Man. It was good, but it just wasn’t as great as everyone said. Therefore I didn’t bother with Iron Man 2, although in retrospect maybe I should have – Sam Rockwell is capable of making anything better, so for him alone I should have tried. I’m looking forward to Iron Man 3, though; it has a bunch of excellent actors besides RDJ: Guy Pearce (of whom I am a big, big fan), Rebecca Hall, Ben Kingsley and Don Cheadle are all worth it. I hope that missing Iron Man 2 doesn’t make a difference since, after all, I saw The Avengers and I feel like that kind of bridges the gap. P.S. I’m going to call out “You’ll never see me coming” for being the worst dialogue in 2013 film. It’s not even halfway through the year but that line is just too, too ridiculous. Good call on the line of dialogue. There are a couple of cringeworthy lines in the trailer. But I think that is kind of par for the course for comic book films. I don’t think even Sam Rockwell could save Iron Man 2 for you. I really hated that film. But like you, I think there are some awesome people in this. Big Rebecca Hall fan and really intrigued to see where Kingsley takes the character of The Mandarin.